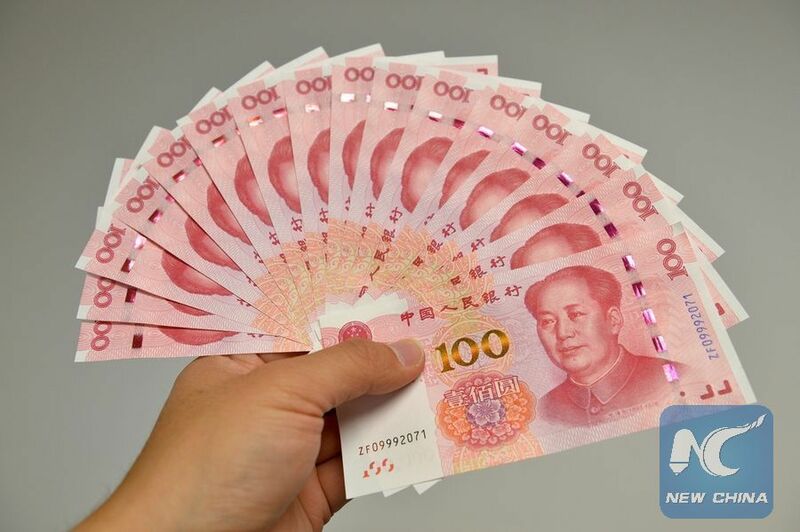 HARARE, June 2 (Xinhua) -- There has been a general consensus among some eastern and southern African countries that there should be more usage of the Chinese yuan in the region because of China's growing influence in business and trade, a financial expert said Thursday. Executive director of the Macroeconomic and Financial Management Institute of Eastern and Southern Africa (MEFMI) Caleb Fundanga said a forum for financial experts earlier in the week had agreed that there was need to use the Chinese yuan as a reserve currency because China was playing an active role in their economies. "The general conclusion is that we should use the yuan more because its time has come. We are doing more business (with China) so it's natural that we use the currency of the country with which we are trading. "Just the way we have been using the (U.S.) dollar and the Euro, we want to use the Chinese currency more in our transactions because it is to our benefit," he said. The forum had also discussed the implications of using the Chinese currency and agreed that there was need for more information on markets and products on which it could be invested. "At the moment that information is not freely available," he said, suggesting further that Chinese financial experts should make the information available at such fora. Fundanga said the coming in of the yuan would give the region more options for managing its reserves. "One of the issues we discussed though was that sometimes if you have borrowed from China they want to bill you in U.S. dollars. Now we are saying our government must start discussing with Chinese enterprises (and) government so that we're billed in yuan and then we can pay in yuan. Because there is no point if we start keeping our reserves in yuan but we're billed in dollars. It is no good," he said. He acknowledged, however, that some countries were already being billed in yuan for Chinese goods and services. Fundanga said there was also discussion on possible currency swaps like what China had done with Nigeria, where Nigerians travelling to China could easily access the yuan from their local banks. MEFMI argues that the bulk of reserves for most countries in the region are invested in U.S. dollars, yet their composition has not kept pace with the large shifts in the world economy. This is particularly so since China and India continue to shape global economic trends as they remain major trade partners for the region. MEFMI countries comprise Angola, Botswana, Burundi, Kenya, Lesotho, Malawi, Mozambique, Namibia, Rwanda, Swaziland, Tanzania, Uganda, Zambia and Zimbabwe.